Transitioning into spring with this tailored military jacket with red detailing on the sleeves and front brass buttons. I dressed it up with burgundy leather pants and black accessories. 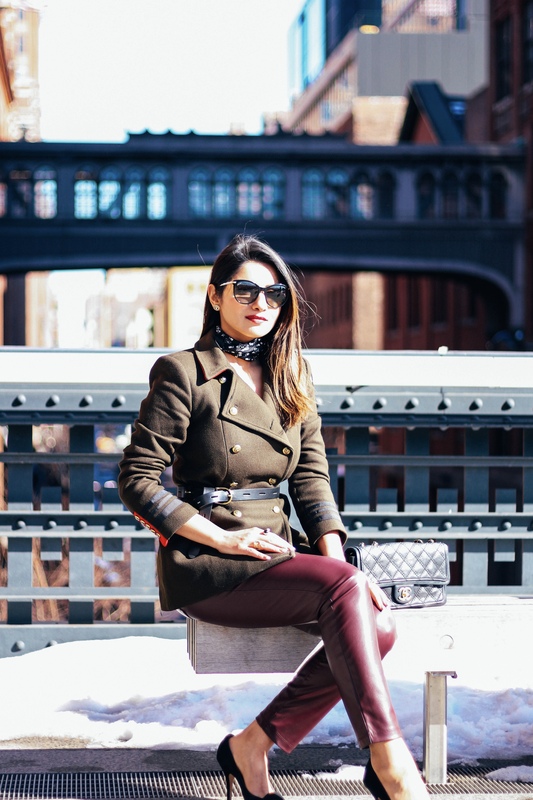 I belted the coat to give it a figure flattering shape and tied a printed scarf. The beautiful collection!!! Perfectly exhibits by beautiful model !!! Appreciate the designers!!! !